When will be Neverwhere next episode air date? Is Neverwhere renewed or cancelled? Where to countdown Neverwhere air dates? Is Neverwhere worth watching? 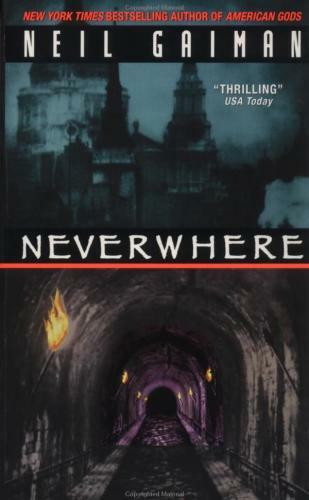 Neverwhere is an adaptation of fantasy writer Neil Gaiman's BBC miniseries and subsequent novel. In urban fantasy Neverwhere, when Richard Mayhew encounters an injured girl named Door on the street one night, he decides to help her despite his fiancée's protests. Upon doing so he ceases to exist on Earth and becomes real only to the denizens of "London Below," whose inhabitants are generally invisible and non-existent to the people of "London Above." He loses his house, his job and nearly his mind as he travels London Below in an attempt to make sense out of it all, find a way back and help Door survive as she is hunted down by hired assassins. Neverwhere next episode air date provides TVMaze for you. EpisoDate.com is your TV show guide to Countdown Neverwhere Episode Air Dates and to stay in touch with Neverwhere next episode Air Date and your others favorite TV Shows. Add the shows you like to a "Watchlist" and let the site take it from there.